Tub time is playtime! 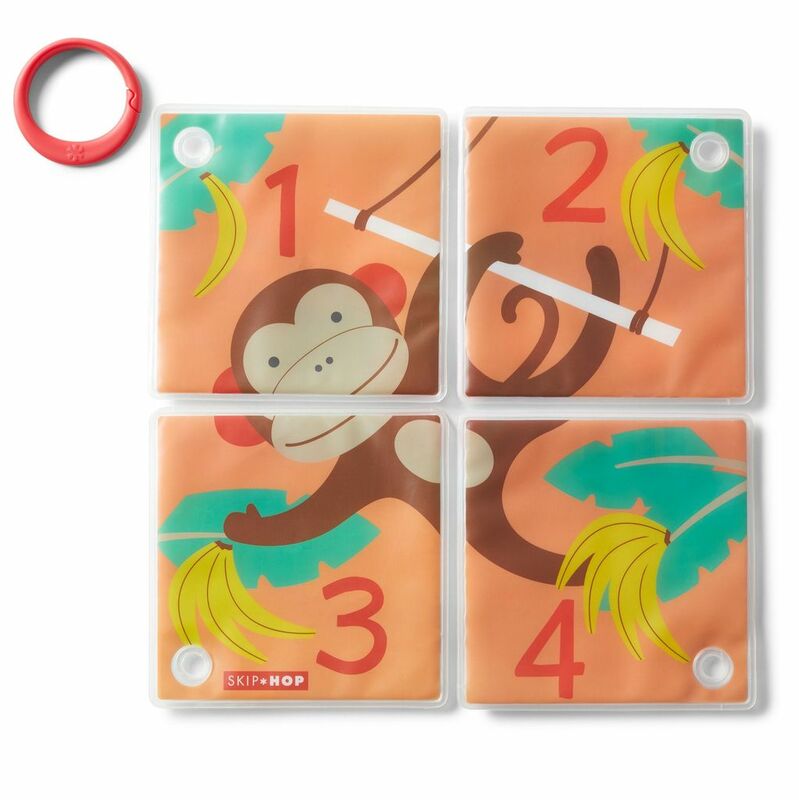 Our colorful puzzle and bath book in one features two-sided artwork to double the fun. 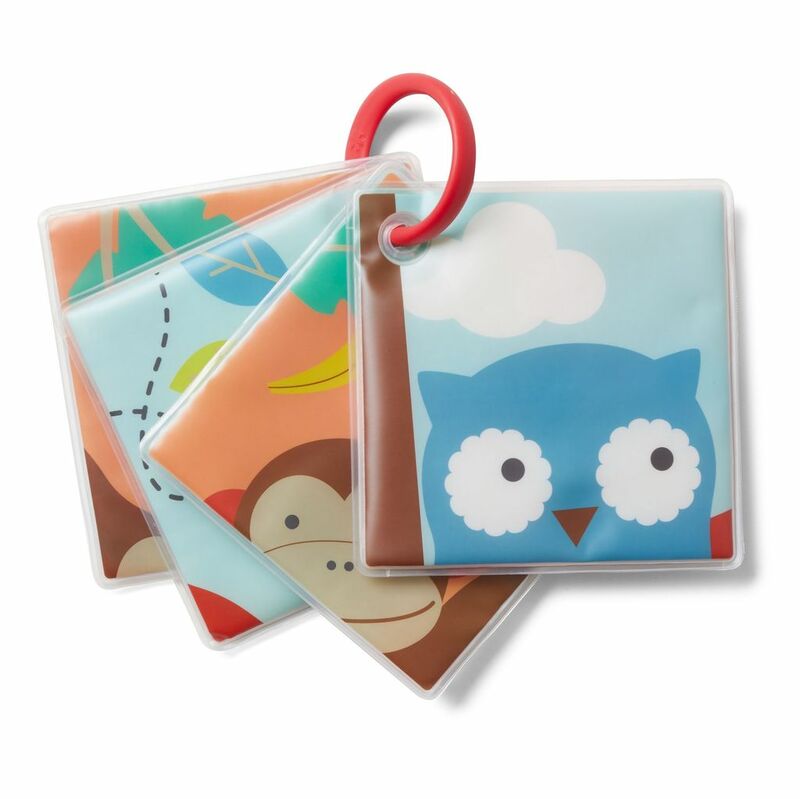 Little ones will love the mischievous monkey on one side and the friendly owl and busy bee on the other. There are even number graphics for learn to count time. The water-friendly pages float and stick to bath tiles, too. A handy stroller ring keeps it all together when bath time is done.